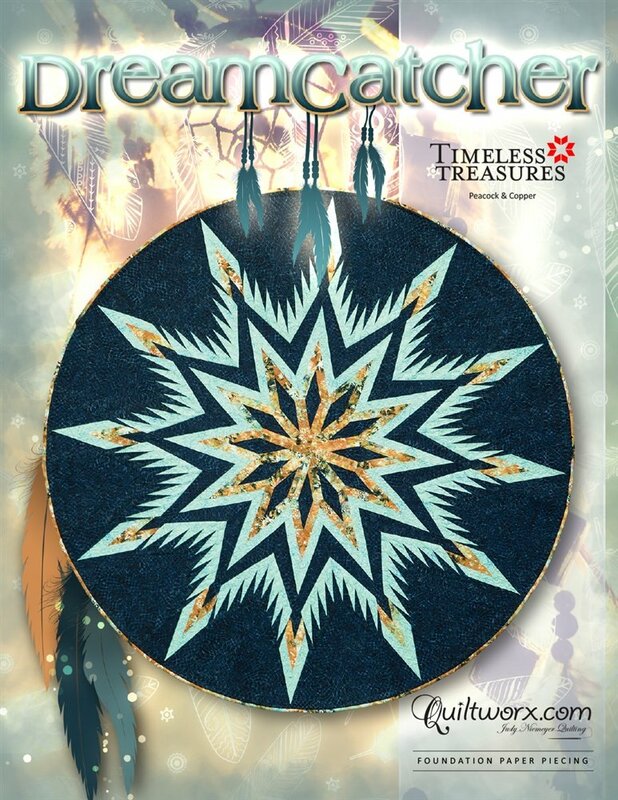 Dreamcatcher, by Quiltworx.com, Judy Niemeyer Quilting. Dreamcatcher was created in 2016 as a Tree Skirt or Table Topper incorporating foundation paper piecing with four simple Group Elements. The pattern incorporates all of the latest techniques from Quiltworx and is assembled in a straightforward approach, breaking a kaleidoscope into a 4 block layout.